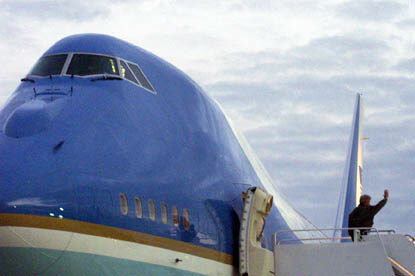 The President leaves Andrews Airforce Base for Lisbon, Portugal. 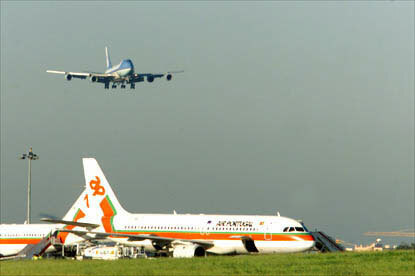 Airforce One approaches the runway at Lisbon Airport. 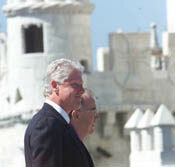 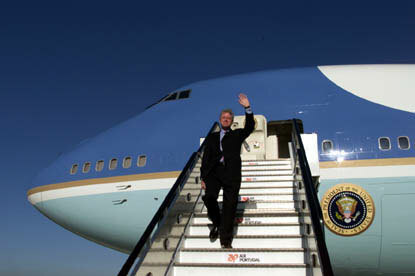 President Clinton waves to the crowd upon arrival in Lisbon. The President smiles at the crowd during the arrival ceremony at Torre de Belem. 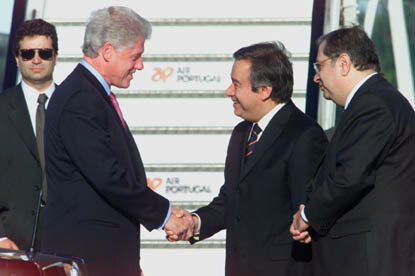 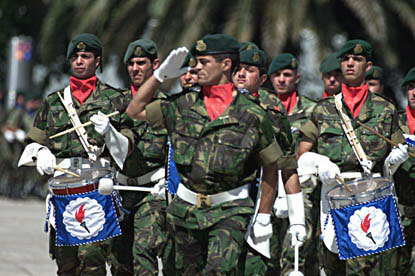 The troops salute Presidents Clinton and Sampaio.